I just recently messed up a relationship I had with a guy that I believe is my soulmate. One of the first times we spent together, before we were even dating, we had our Tarot cards read. In the two separate readings, the cards that represented the pasts were different, but the cards that represented the present and future were the same for each of us. The lady that read them for us said that we would cross rough seas and then meet on the other side to live a full and happy life. It’s been 7 months since that reading, and right now we aren’t even on a level of friendship. (I fell for him hard and fast and got scared, so I pushed him away.) Could the reading each of us had have been talking about our current relationship status? If we are in the “rough seas” right now, should I continue looking forward to hitting the shoreline and being in his life again as his soulmate? Or should I forget that we had the same cards drawn and try to move on? If I am supposed to move on, how do you forget someone you are spiritually connected to and literally feel on a daily basis? Whoever read your cards presents as a good and ethical reader. Having said that, I would have to agree that you are in the “rough seas” aspect of this relationship that she warned you about. However, you didn’t quite heed the warning, and your lover didn’t necessarily take the reading as law. These two seemingly small presentations of free will have changed things a bit. As of this moment, because of each of your actions and reactions, the two of you are emotionally separated by the span of an entire ocean. Your ex is not at a place where he is ready to talk with you, much less offer you trust and forgiveness. It’s going to take a significant amount of time and some unsatisfactory relationship experiences before he allows himself to start breaking down the emotional walls of protection he erected because of what happened between the two of you. There doesn’t appear to be a shortcut or quick fix. You just have to give him time and space, and let things follow through in this natural, but altered, course. Focusing on the memory that the two of you had the same cards drawn is currently only helping to keep you hurting and still. While there is no way that you can forget this, or him, it is unwise of you to hold on to the that reading and what it revealed as your ultimate answer. Do your best to embrace your life as it is now, and make the most of the present and your current opportunities. Just as he is growing and changing, you need to allow yourself the same freedom. I’m not going to tell you that it will be easy, but from what I am seeing, it is necessary. In time, you will see the shoreline you speak of, because you will cross paths with him again. But, there’s roughly another 18 months you must live through first. The cold truth is when you are emotionally and spiritually connected with someone, you can’t simply forget them, nor should you. The best thing that you can do is acknowledge the connection and the feelings, try to understand gently all the events that brought about the severance, and put your energy into forgiveness–of yourself, as well as him. Love yourself enough to pull far enough away that your days are once again bright and full, in spite of his absence. Love him enough to support his efforts to find happiness, and mend the void you left behind. When things come around and you the two of you are reunited, don’t assume that because you two are supposed to be together, that the patch is clear and solid. Look at destiny as your own creation, and focus on making your future, and your life with your man, as smooth and happy as possible. 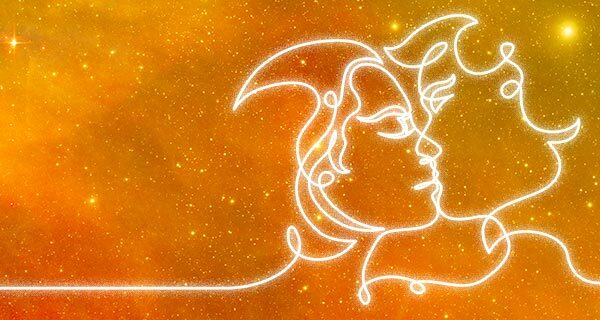 What do the cards reveal about your love life? Get a Tarot reading. Call 1.800.573.4830 or Choose Your Psychic now.